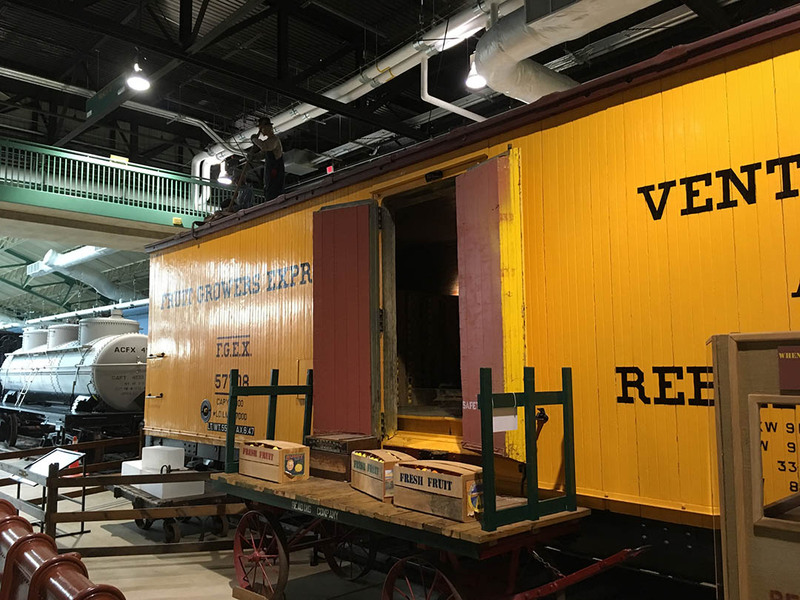 Visiting Strasburg for the 2018 HeritageRail Conference offered an opportunity to photograph the Railroad Museum of Pennsylvania. 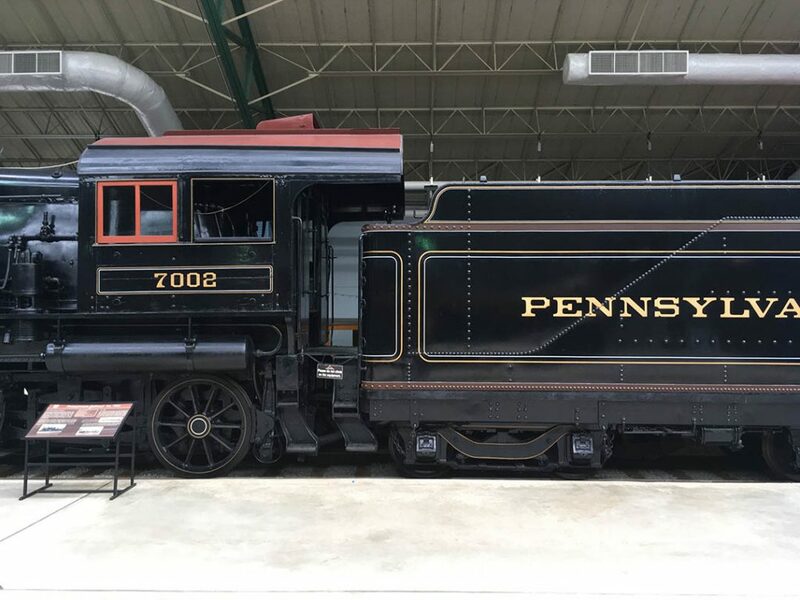 Pennsy 4-4-2 #460 was recently cosmetically restored at a cost of $393,000. 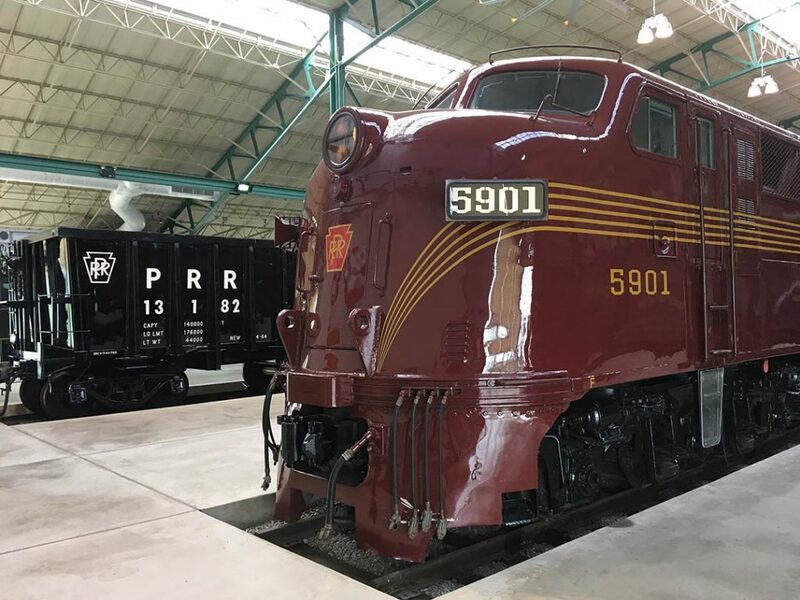 The six other PRR engines currently outdoors will receive the same treatment. 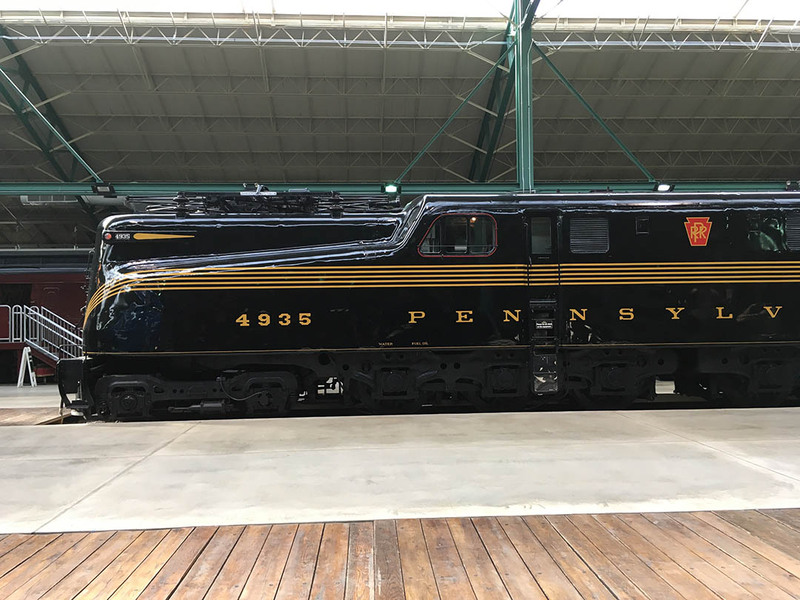 Currently parked outdoors is the rest of the PRR corporate collection that was stored for years at Northumberland, PA. 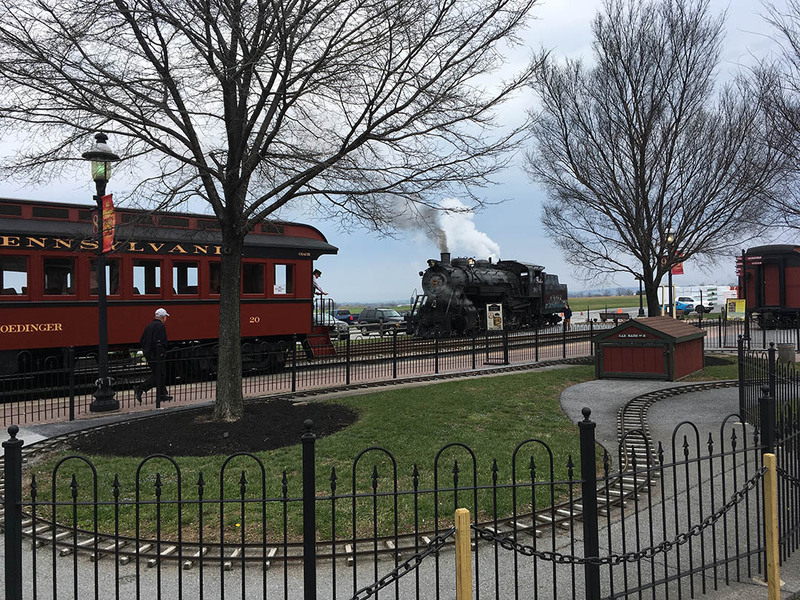 Included are 0-6-0 1670, 2-8-0 7688, 2-8-2 520, 4-6-0 5741, 4-6-2 3750 and 4-8-2 6755. 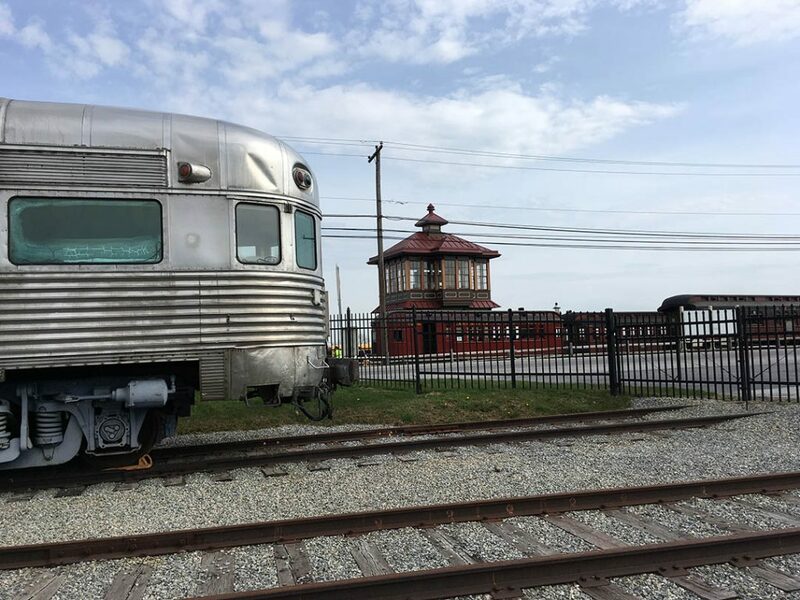 Two Pennsylvania electric pioneers await restoration–DD1 3936-3937 (Juniata 1911) and the first GG1 4800 (Baldwin 1934). 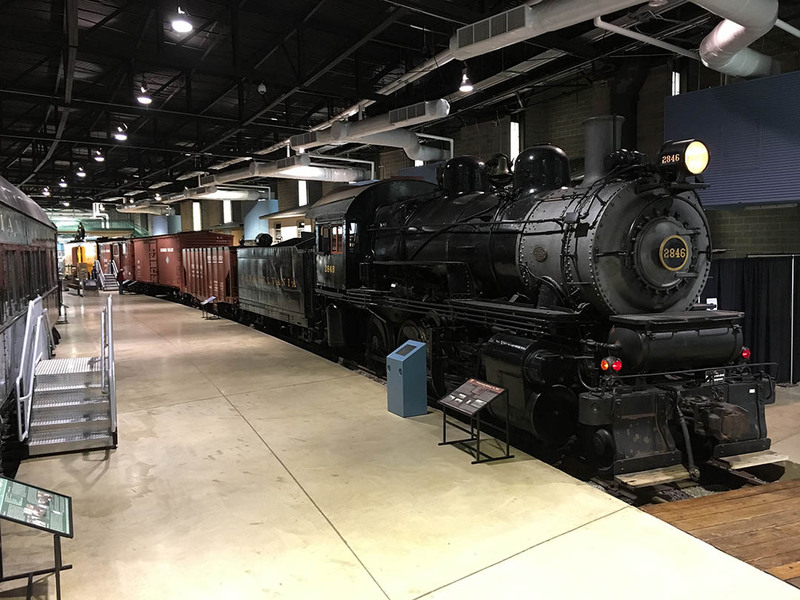 E7 5901 and ore car 13182. 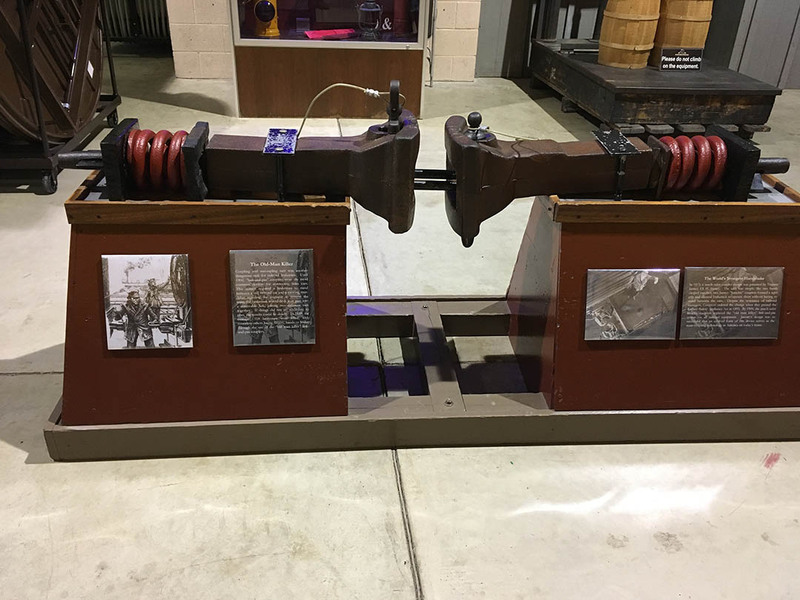 A link and pin coupler exhibit. 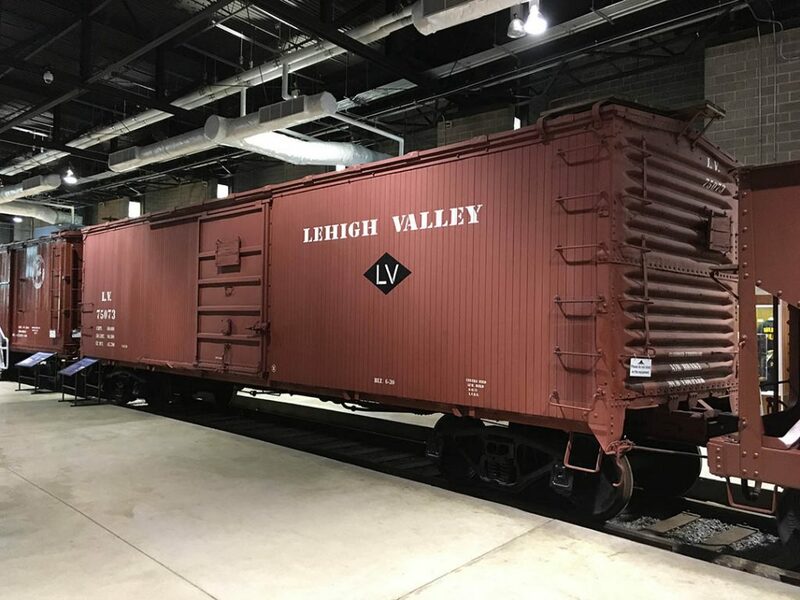 Lehigh Valley boxcar 75073 (AC&F 1930). Fruit Growers Express reefer 57708 (FGE 1928). 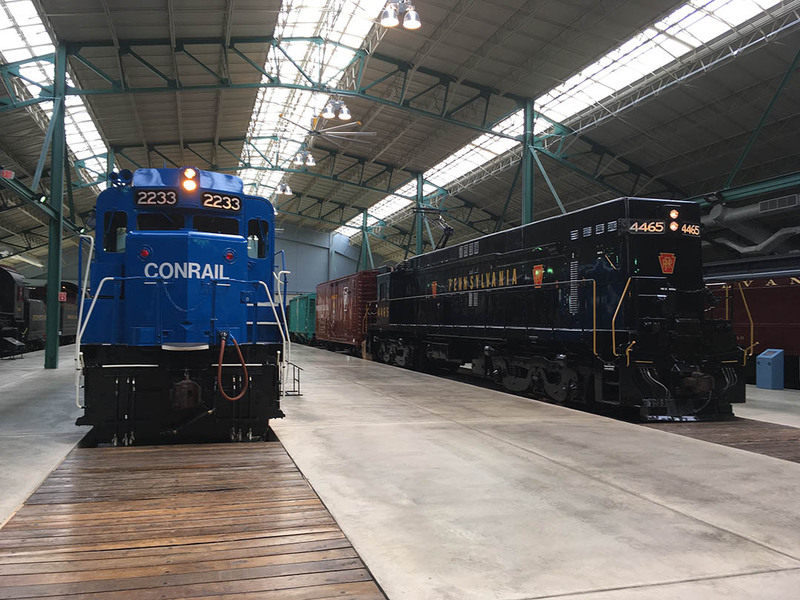 Conrail GP30 2233 was built for the Pennsylvania. 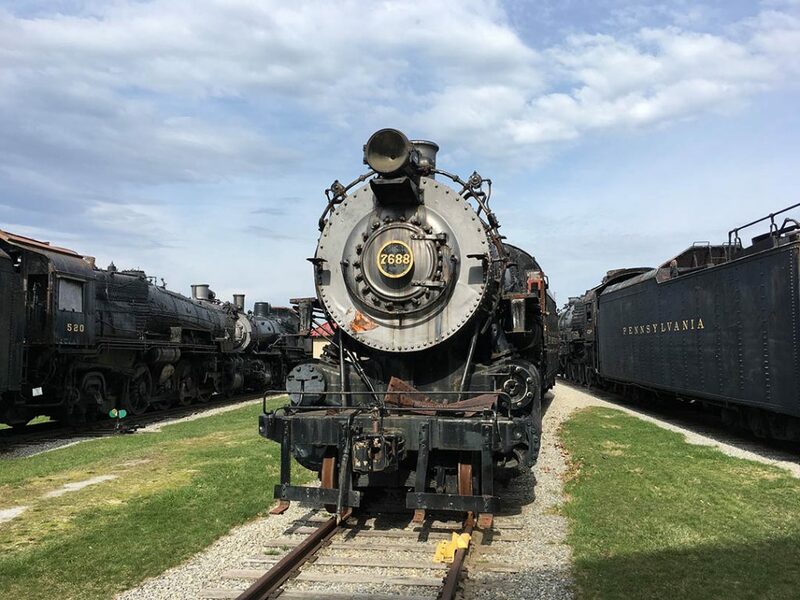 At right is E-44 electric 4465 (GE 1963). 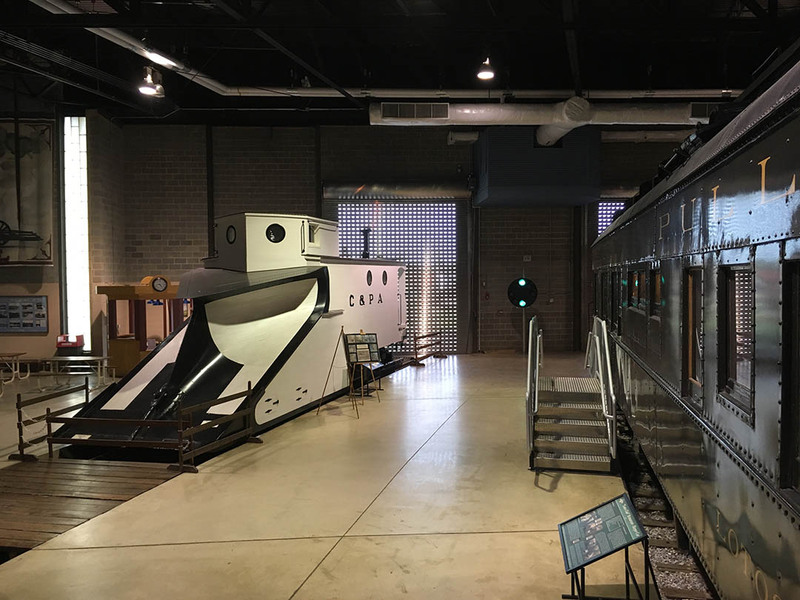 Reading Crusader observation car 1 (Budd 1937).